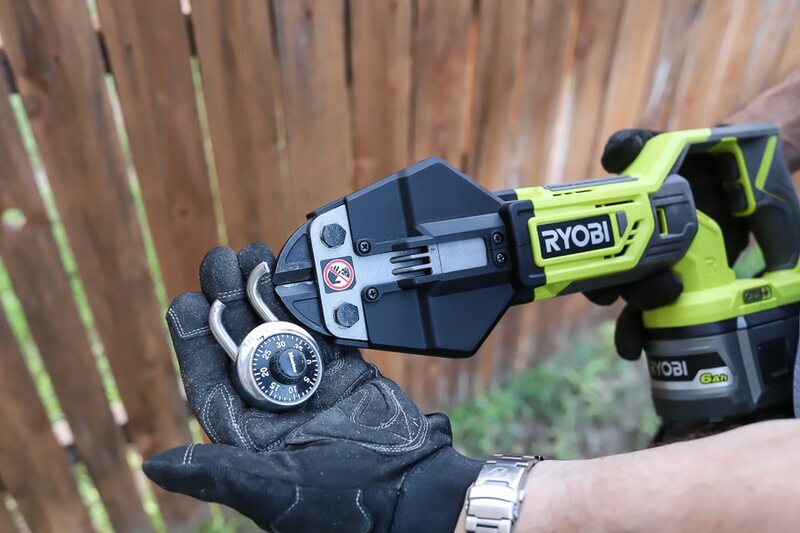 Adam and I first had the chance to get our hands on the new RYOBI ONE+ 18V Bolt Cutters at the Home Depot ProSpective event in New York City last Spring and we were both pretty giddy about it. 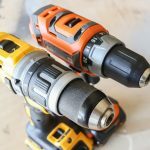 I mean, battery-powered bolt cutters?! 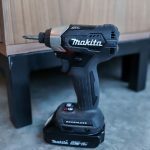 #Takemymoney! 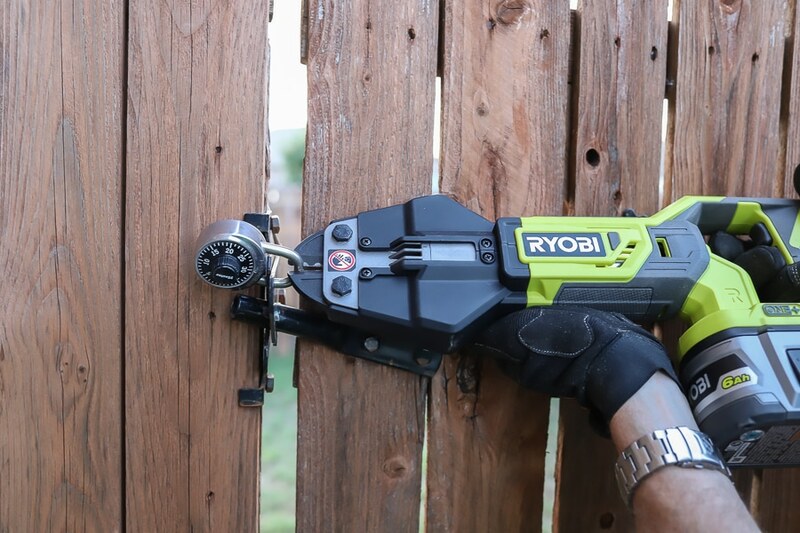 Those clever folks at RYOBI are constantly thinking of new and innovative ways to make our lives easier and more efficient! 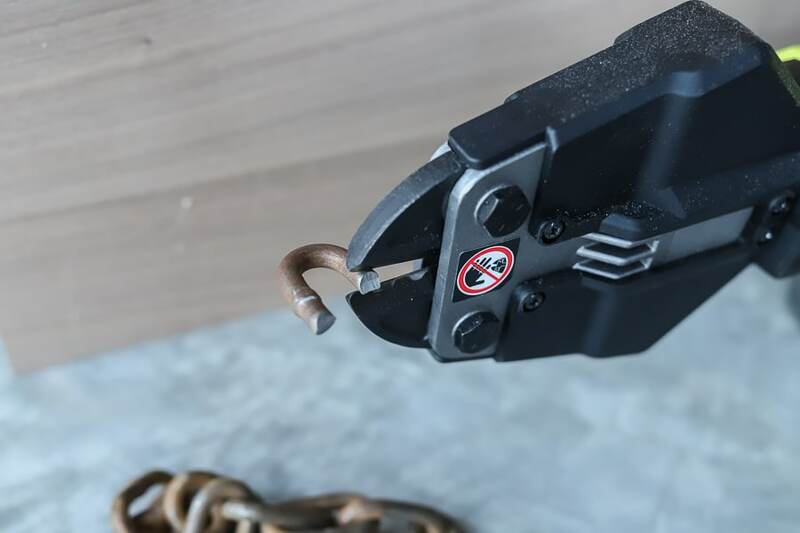 These bolt cutters use the ONE+ battery, just like the rest of the 100+ tools in the ONE+ lineup, so there’s no need to go out and buy a different kind of battery. 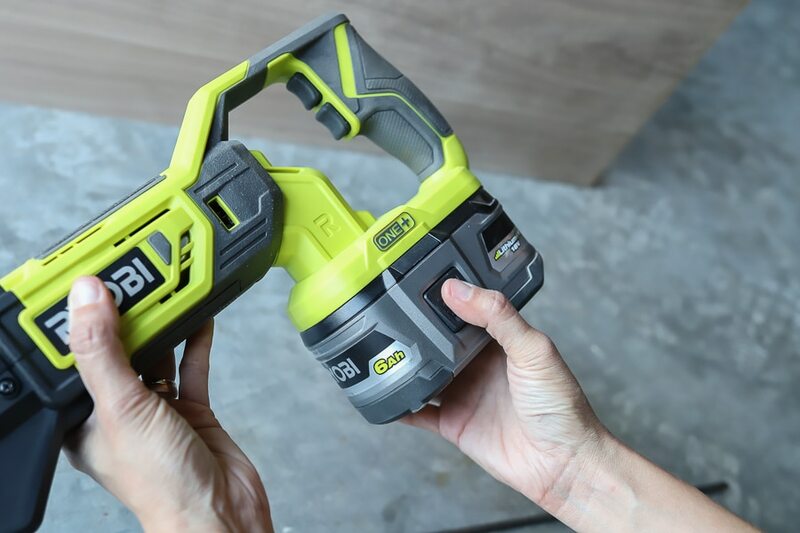 And good news, RYOBI just introduced their new RYOBI ONE+ 18V 6.0 Ah Lithium+HP Battery so you get maximum power that delivers the optimal level of performance for your tools. 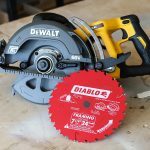 The jaws open to accommodate materials up to 3/8 inches in diameter and you can get over 200 cuts on a single charge. 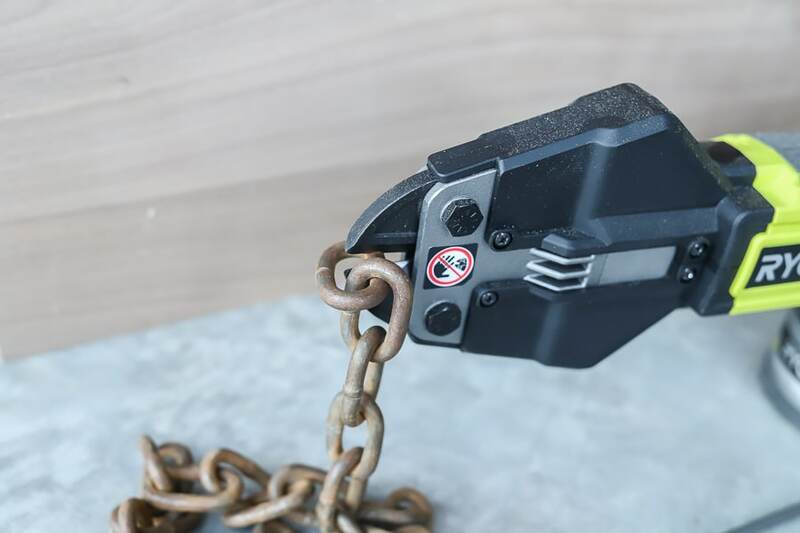 It cut right through this rusty chain without any issues at all. 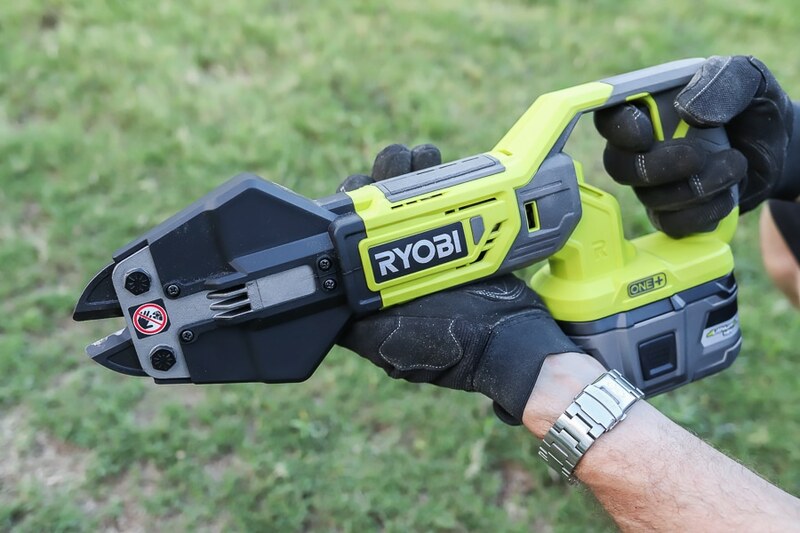 Now let’s chat about the new RYOBI ONE+ 18V 6.0AH Lithium+HP Battery. The 6Ah battery isn’t much larger than the 4Ah, but it packs a much bigger punch. 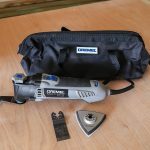 It’s compatible with both brush and brushless tools. 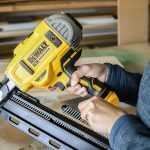 Even better, it delivers the optimal level of power, so you’re getting the best performance and maximum power from your brushless tools. 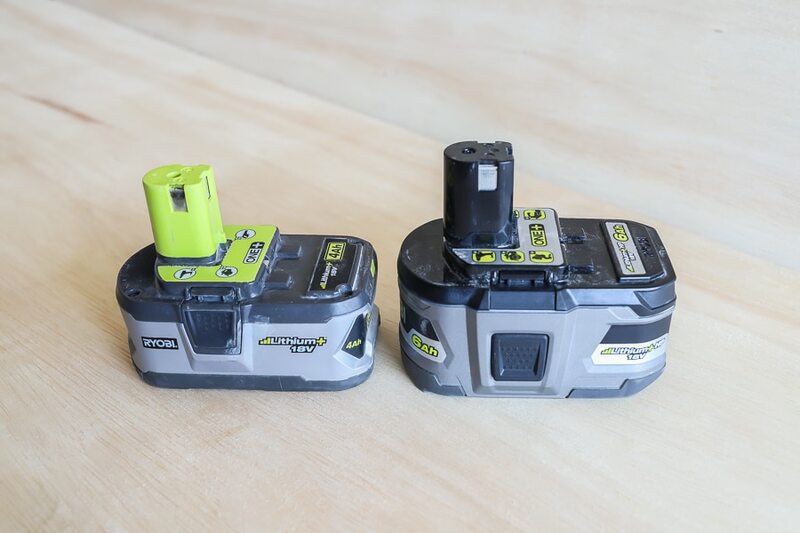 Also, RYOBI altered the battery design slightly by moving the release buttons closer to the base, which is so much easier on my tiny lady hands! 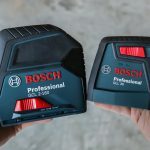 As you can see in the photo above, the buttons on the previous 4Ah model were at the top of the battery, so it always gave me hand cramps trying to press the buttons on both sides simultaneously. The claw: not a good look for me. 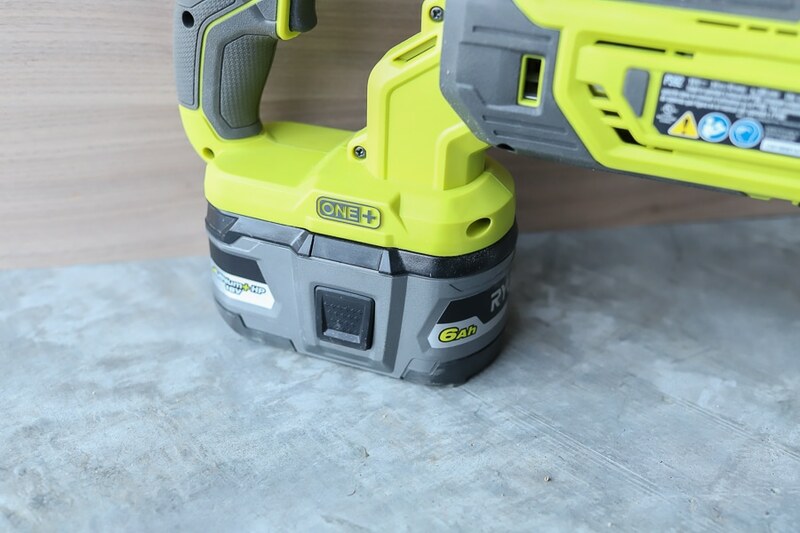 The placement of the release buttons on the new 6Ah batteries is lower, making it much easier to reach. 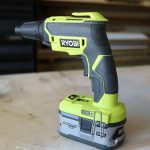 This small improvement that makes a world of difference and my cramped claw hands thank you RYOBI! What kind of watch are you wearing? It looks cool. 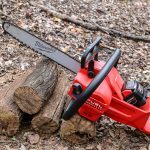 Thanks Also thanks for the great reviews!